BANGKOK - Thai Prime Minister Prayut Chan-o-cha became ota (a big fan in Japanese) for AKB48 on Thursday (Sept 13) as the J-pop idol girl band put on a special performance for him at Government House, in an event that observers say was part of his move to expand his supporter base ahead of next year's election. 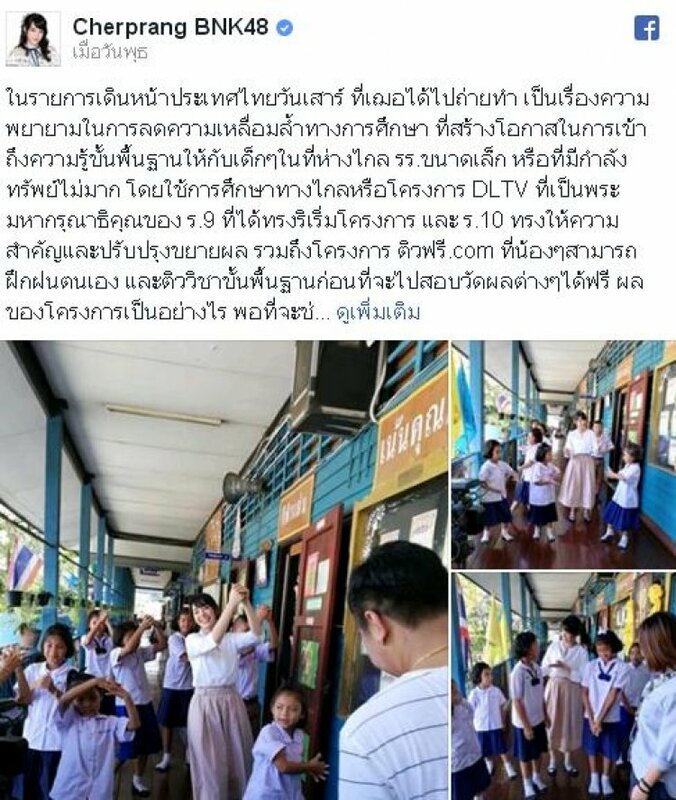 In the broadcast, Mr Prayut was seen waving his light stick in time as six members of the AKB48 members - Nanami Asai, Chiba Erii, Iwatate Saho, Mogi Shinobu, Nakanishi Chiyori and Sasaki Yukari - performed their famous single Koi Suru Fortune Cookies. Later Mr Prayut shook the girls' hands and took a selfie with them. Mr Prayut said he was excited that the J-pop band is coming to perform in Thailand, but added that he could not attend the concert. Asst Prof Dr Wilaiwan Jongwilaikasem, a lecturer with Thammasat's Faculty of Journalism and Mass Communication, said this was part of the prime ministers move to expand his fan base to include young, urban teenagers ahead of next year's elections.